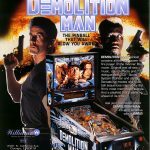 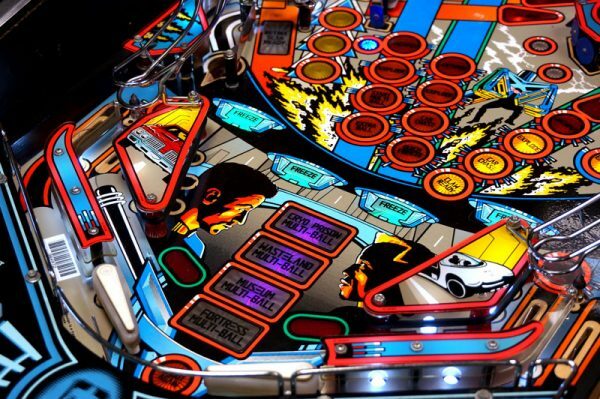 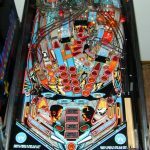 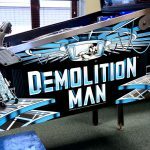 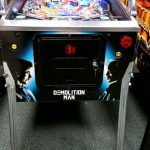 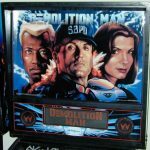 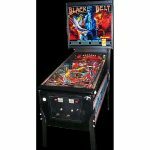 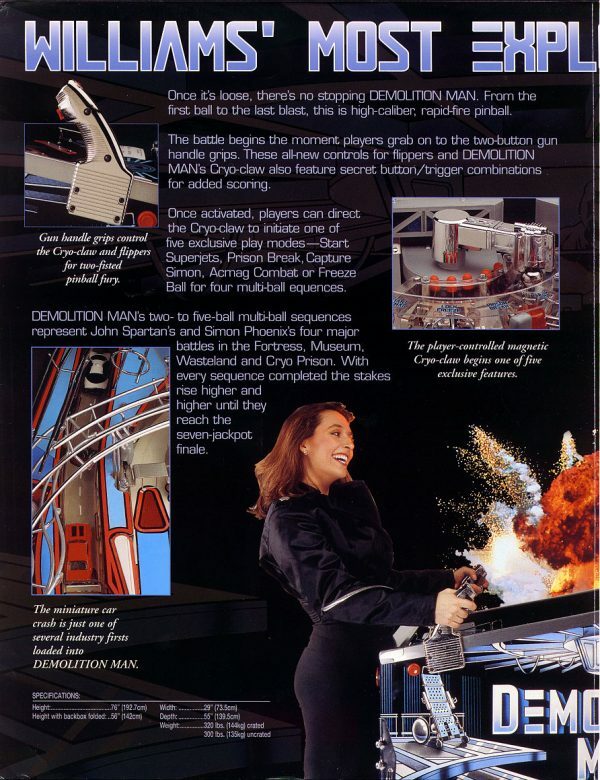 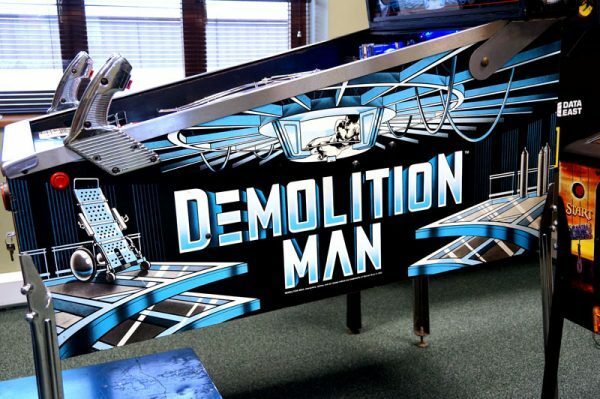 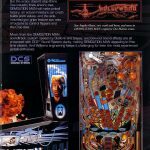 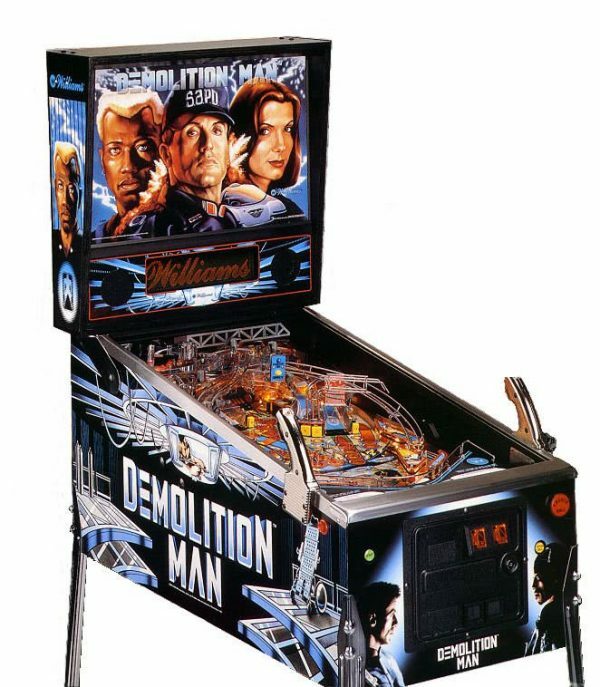 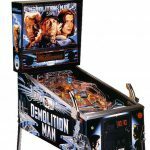 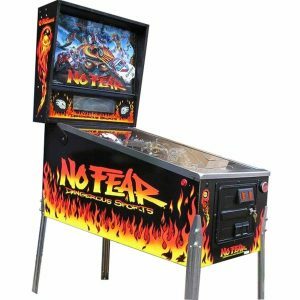 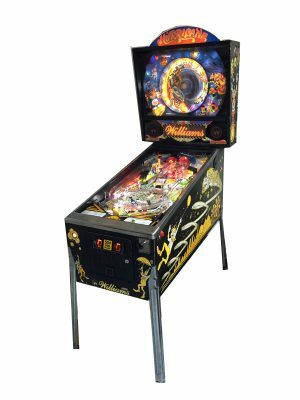 Demolition Man pinball machine is based on the motion picture of the same name. 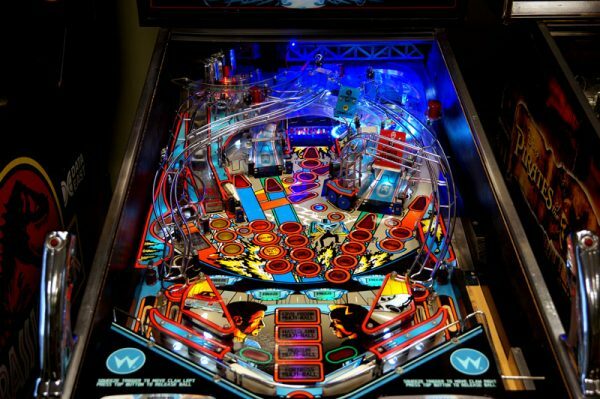 It is part of WMS’ SuperPin line of widebody games. 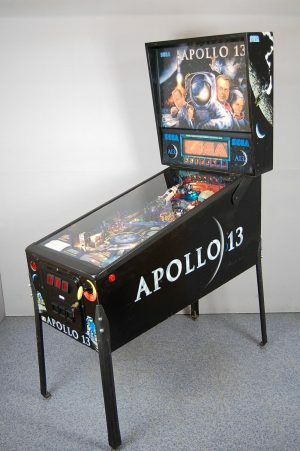 It was manufactured by Williams Electronics in 1994. 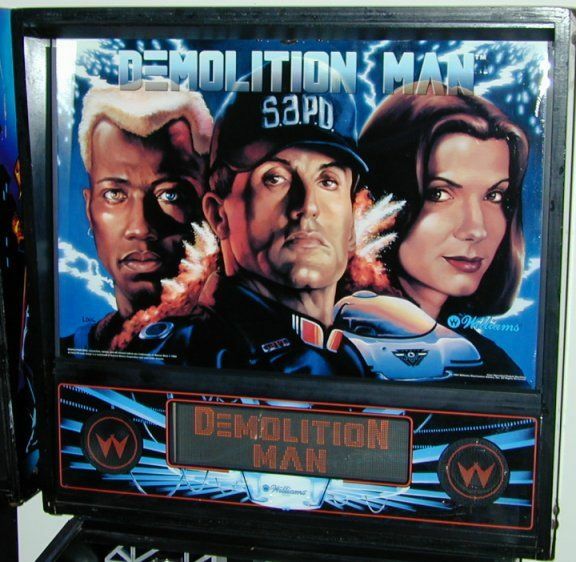 Sylvester Stallone (John Spartan) and Wesley Snipes (Simon Phoenix) provided custom speech for this game during ADR sessions at Warner Brothers Studios in Los Angeles under the direction of Jon Hey. 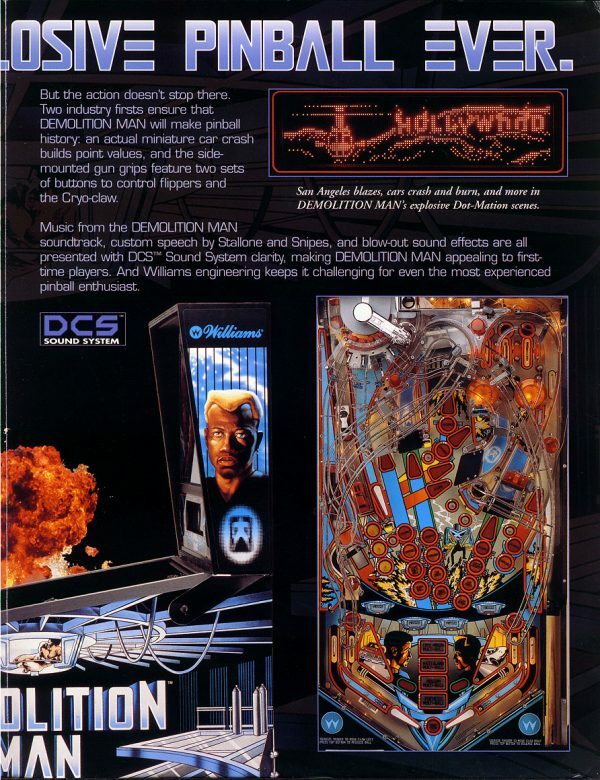 Hey scored the music of the pinball game in part based upon the movie score by Academy Award winner Elliot Goldenthal, but including new music. 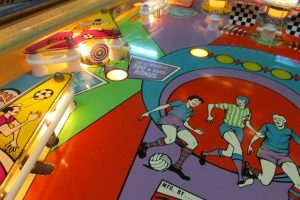 This game is centered on multiball modes. 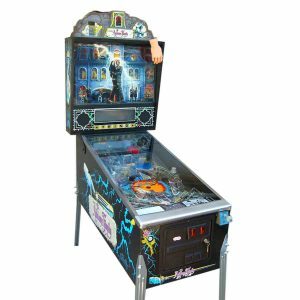 The player has to shoot the left ramp when the “freeze” light is lit (lit by the right inlane) to “lock” a ball. 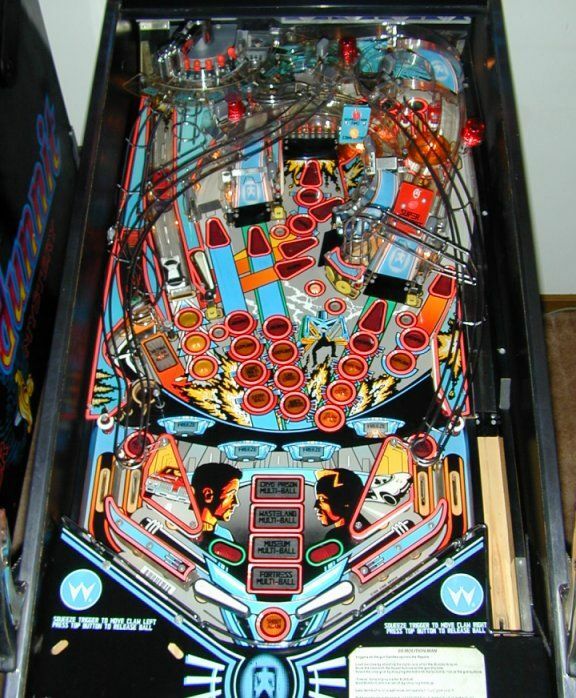 When the required amount of locks are made, the player has to shoot the left loop to start multiball. 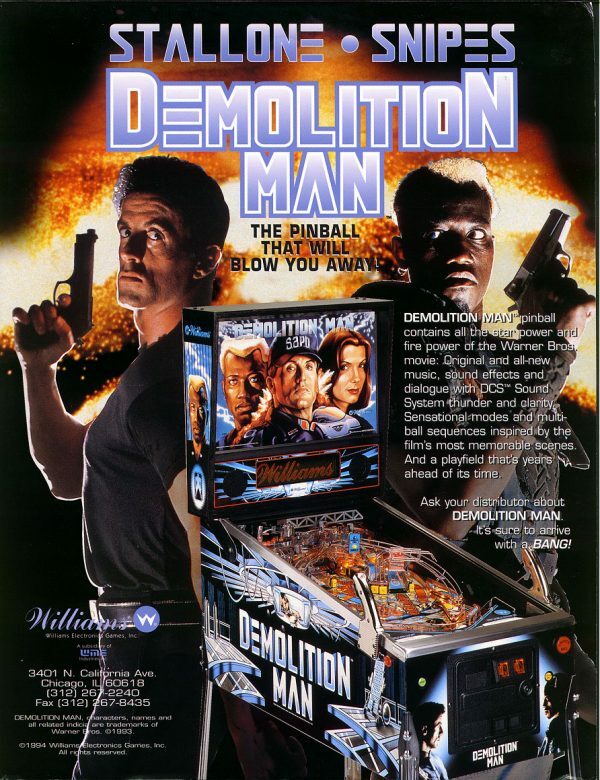 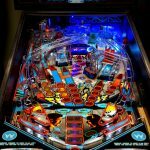 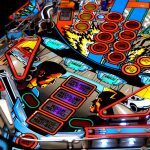 Completing all four multiball modes lights the right ramp for the wizard award, Demolition Jackpot, which is the total amount of all the jackpots collected during the game. 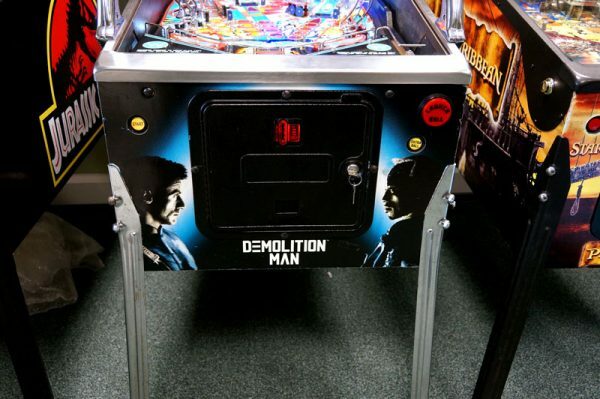 The Demolition Jackpot is lost if the ball drains. 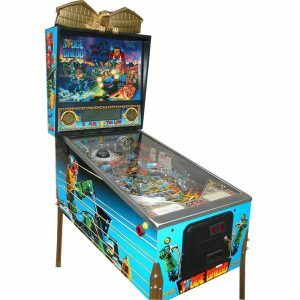 Flippers (3), Ramps (3), Automatic Plunger. 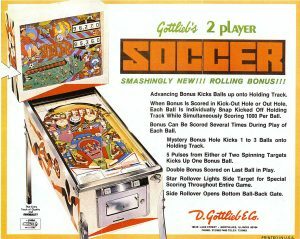 4 Multiball modes. 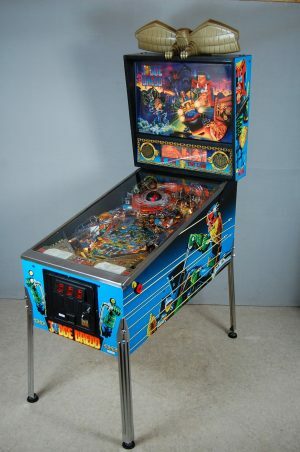 Judge Dredd is a four-player pinball game produced by Bally Manufacturing in 1993, based on the British comic strip Judge Dredd in 2000. 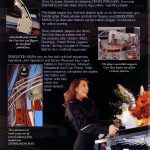 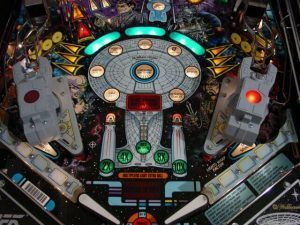 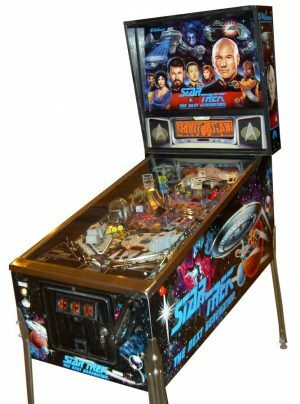 Star Trek: The Next Generation pinball machine is a widebody game, designed by Steve Ritchie and released in November 1993 by Williams Electronics. 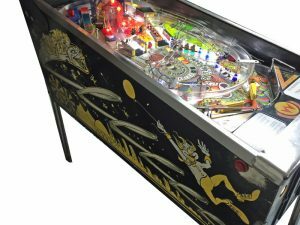 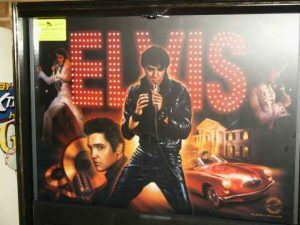 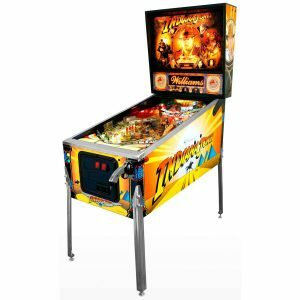 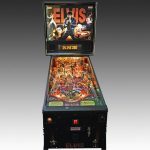 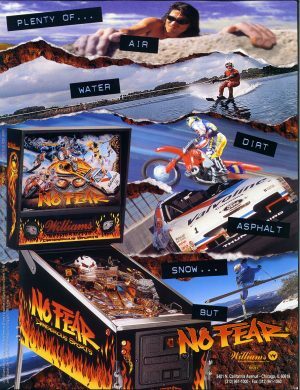 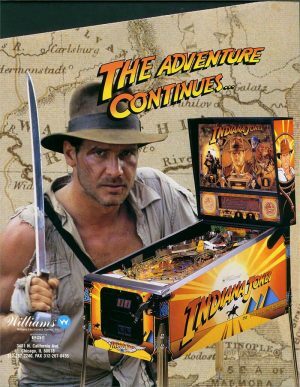 It was part of WMS’ SuperPin series (see also The Twilight Zone and Indiana Jones: The Pinball Adventure), and was based on the TV series. 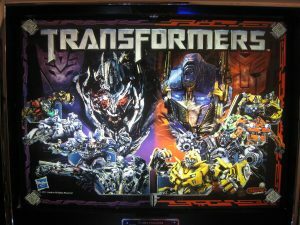 Transformers pinball machine is based on the popular action figures and movie franchise. 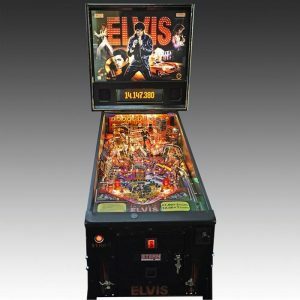 It was manufactured by Stern in 2011.